In these pages we share pictures and notes that inspired and informed our time working in the southeastern corner of Oregon. The pictures consist of a series of 35mm black-and-white and color images shot during location scouting and other sojourns in this high desert region, as well as frame enlargements from “out takes” and “trims”. 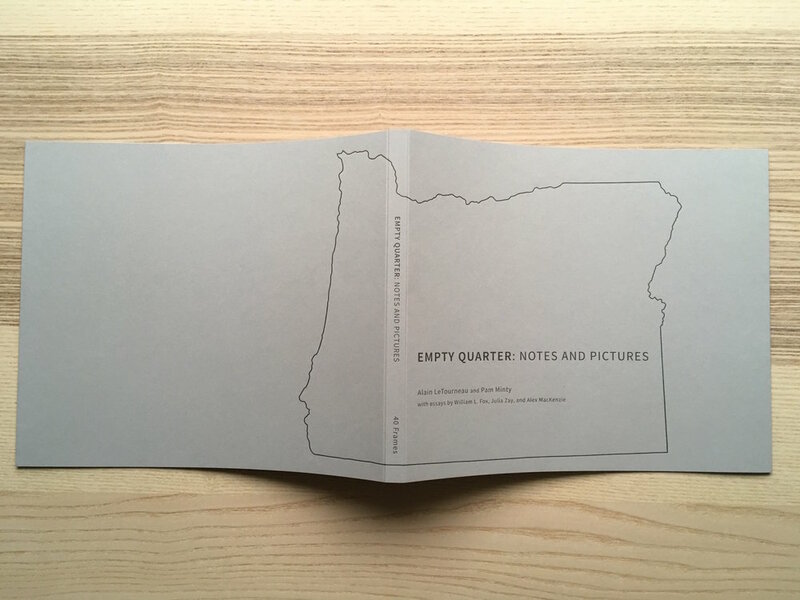 The notes include research (geographic and general information on Lake, Harney, and Malheur Counties); transcripts of the interview excerpts heard in the film’s soundtrack; writings on how the production began; and our thoughts on documentary filmmaking as an experimental inquiry and production process. In addition, we are honored to include essays on the film by William L. Fox, Julia Zay, and Alex MacKenzie; and we have added an appendix responding to the 2016 Malheur Refuge Occupation and the initial court case that followed in Portland, Oregon.